Professional Coworking Operators. 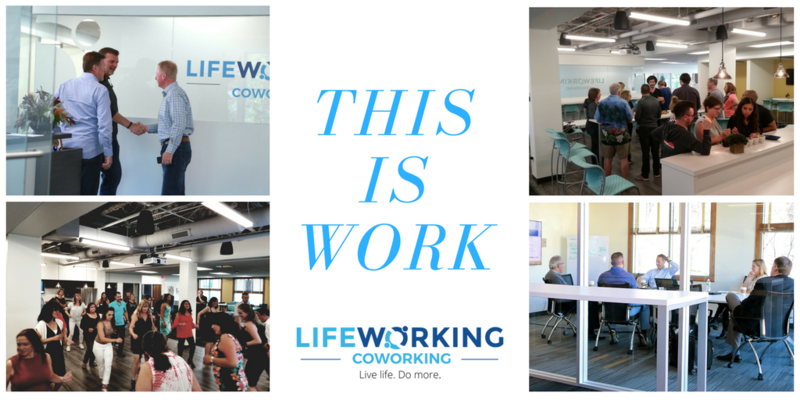 We at LifeWorking Coworking are still navigating this complex sea of entrepreneurship, hospitality and direct business ownership that is coworking. It is exhilarating and certainly not for the faint of heart. We are inspired every day to deliver a workplace for Productivity, Collaboration and Community for our amazing members. We want to share a significant bit of information we’ve experienced first hand. We agree with Mike that coworking spaces can be very profitable. What we’ve discovered directly over cups of coffee with other operators: Coworking is only profitable when designed as a specific strategic play rather than a real estate afterthought. In other words, profitability is dependent upon making this your full-time focus rather than a hobby or side gig. Coworking is a complex amalgam of operations, facility management, marketing and hospitality. For example, a significant stat from article: On a global scale it estimated the shift from traditional leases to flexible workspace could reduce global office space demand by 2% to 3% a year. To us, that translates to mean that, moving forward, developers and landlords are looking for partners (or tenants) with signifiant operational experience, a track record of creating a workplace “destination” along with a strong balance sheet for each location under operation. That’s where LifeWorking Coworking is carving out a niche, specifically in underserved and suburban markets. Look for more locations in 2019!